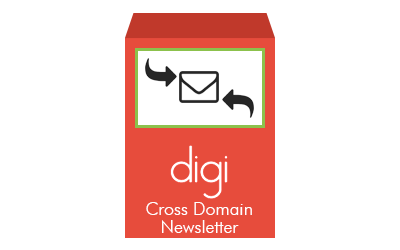 Cross domain newsletter subscription for AcyMailing. With Cross Domain Newsletter for AcyMailing, you can subscribe visitors of your website to the newsletter of another website which uses AcyMailing as Joomla newsletter system. The module works by using AcyMailing API. The configuration is very easy: the data needed to let module works is just the destination domain and the ID of AcyMailing list where to subscribe users. In this way, when an user will enter his email address in the module field, he will be subscribed to the newsletter of destination website. After subscribing, is possible to redirect the user to a new page, for example a thank you page. This module does not need AcyMailing installed on the same website. To work, this module needs the address (URL) of a Joomla website which uses AcyMailing. To work, this module needs the ID of newsletter list of aforesaid Joomla website which uses AcyMailing. First you have to enter the remote domain of the Joomla website where AcyMailing is installed and where you want to subscribe users. Then you have to enter the ID of AcyMailing list where you want to subscribe users. You can easily find it on AcyMailing lists manager. Some options are not needed but can be used to lets look fine the module in your template, for example layout alignment or button attributes such as color and background color. Also module text is editable, so you can enter a custom error message, a custom email placeholder, a description, a custom button text. You can finally configure if you want to redirect to a new page users after subscription. If so, enter in the proper field an URL where to redirect urser. Does this module need AcyMailing to work? This module does not need AcyMailing installed on the same website, besides it needsa remote website where is installed AcyMailing. Can I redirect users after subscribing? Of course yes! Just enter a redirect URL and all users will be redirected to a new page.